I'd like to say a big THANK YOU to Maria for giving me this award. It's always so nice to recieve something like this. 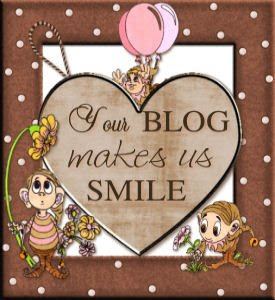 I would like to pass it on to the following people, all of which have great blogs which always make me smile! Wow!! This is a lovely surprise, thank you Lynne! I'll post it on our blog later on today..
Ah this is brilliant, thank you so much for thinking of me.